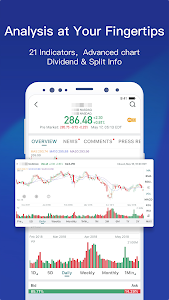 Webull is a stock market app to invest and research global financial markets. Free stock trading, real-time quotes, real-time news. 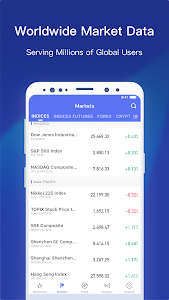 Track your favorite forex, equities, ETFs, indices, options, commodities, & futures in your customizable portfolio or synchronize your Google Finance account. Join our +8 million user Webull community to invest, trade, and stay on top of global markets! 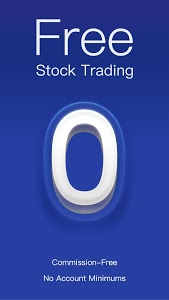 - Open a trading account and get a free share of stock. 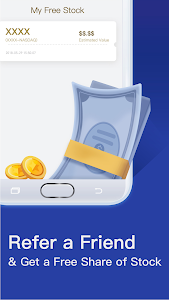 - Refer your friends and you’ll both get a free share of stock. - Pre-market & After-hours trading, available for everyone without a membership system. - Build your own customized portfolio, create multi-stock watchlists, keep track of multiple stock markets. - Add holdings, create alerts, and save notes as you track performance on your watchlist. 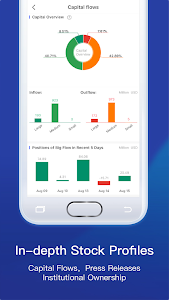 - Sync with your Google Finance portfolio. Sign in with your Google or Facebook account and sync all your devices. - Create and customize widgets to track price movements and quickly view your portfolio. 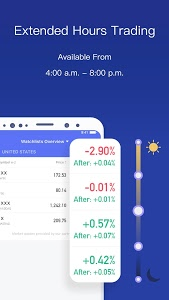 - Create and customize alerts informing you of live price movements, daily P/L, and chart triggers to make better investment decisions. - Professional grade stock-specific candlestick charting with 22 technical indicators (such as MA, EMA, BOLL, MACD, KDJ, etc). - Full suite of functions, all for free, from real time stock quotes, pre-market and after-hour quotes, to customizable advanced charts. 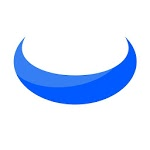 - Free access to all of our world-class tools, including: IPO Calendar, Earnings Calendar, Capital Flows, Press Releases, Currency Converter, Advanced Quotes and more. - Get the latest breaking news with 24*7 updates on companies on your watchlist. 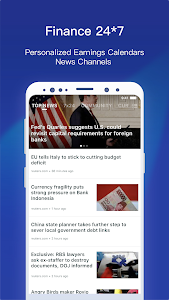 - Track key global events from major media sources including Google Finance, Yahoo Finance, Bloomberg, Reuters, CNBC, MSN Money, Wall Street Journal, and more. - User friendly interface with customizable settings. Choose your own skins and font sizes. - Financial data & analysis in elegant graphical formats allow for easy visualization of the data points. - 11 international languages are supported for your own individualized demand: English, Chinese, Hindi, Spanish, Portuguese, French, German, Italian and Malaysian, Thai and Bahasa Indonesia. [New] Added display of existing positions and pending orders for the selected stock in Quick Trade. [New] Added real-time chart for the selected stock in “Trade” page. 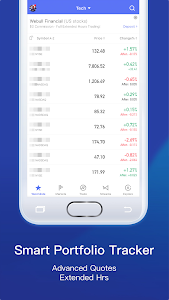 Similar to "Webull - Stock Quotes & Free Stock Trading"